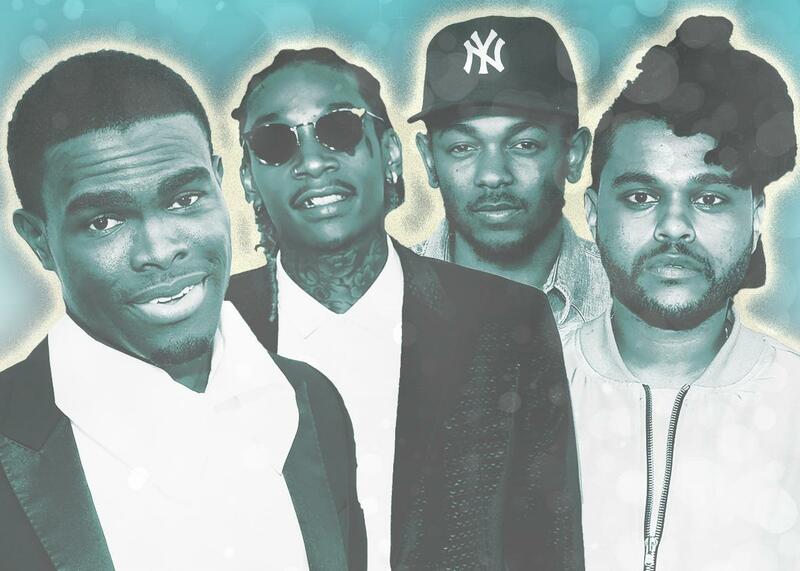 Chris Molanphy explains the Billboard 100 hits of 2015. Chris Molanphy explains the puzzling Canadian pop chart dominance, and other pop music trends of 2015. OMI, Wiz Khalifa, Kendrick Lamar, and the Weeknd. Photo illustration by Sofya Levina. Images by Jason Merritt/Getty Images, Mike Windle/Getty Images, Jamie McCarthy/Getty Images, and Dimitrios Kambouris/Getty Images. This year, many of us were consuming the same big songs at the same time. On The Gist, music writer Chris Molanphy explains how 2015 continues a modern trend toward a shared pop music monoculture. Chris writes Slate’s Why Is This Song No. 1 column, and for more 2015 analysis you can check out his contribution to The Music Club, 2015. For the Spiel, favorite ideas and sentences of the year.